As the saying goes, “McDonald’s has 99 problems, and mozzarella sticks that don’t contain cheese make up at least two of them. *” After customers raked the chain over the coals for selling breaded shells filled with fried air instead of mozzarella, another customer in California has filed a proposed class-action lawsuit against McDonald’s, claiming its version of mozzarella is not, by definition, actual cheese. The plaintiff said the Golden Arches markets the item as being made with “pure mozzarella,” “real mozzarella” and “100 percent real cheese,” but that’s not the real story, the complaint claims. Federal regulations spell out exactly what mozzarella cheese should be composed of, the complaint states, and filler is not one of them. Thus, the sticks have been rendered mislabeled and adulterated, the lawsuit claims. “The sticks are filled with a substance that is composed (in part) of starch, in violation of the federal standards of identity for ‘mozzarella’ cheese, and contrary to reasonable consumers’ expectations regarding the meaning of the term ‘mozzarella,’” the complaint said. 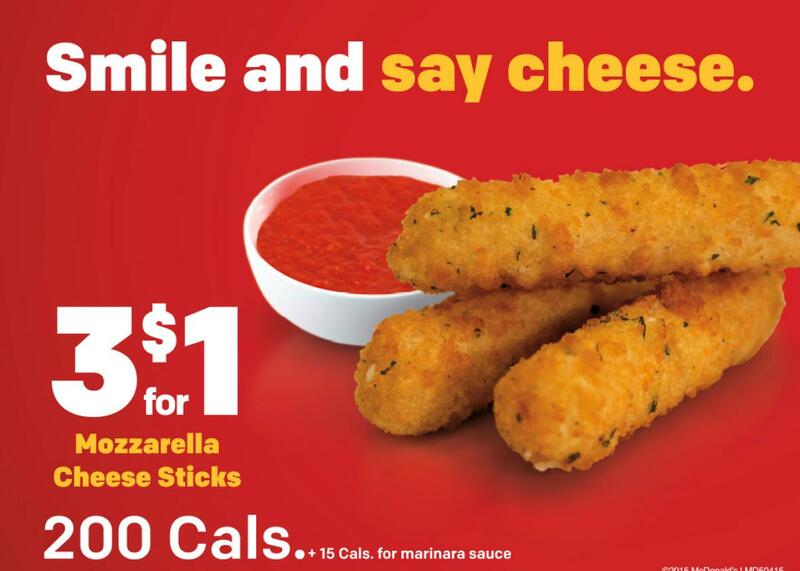 The customer calls McDonald’s ads and packaging of the mozzarella sticks misleading, deceptive, unfair and fraudulent, and is seeking claims under California’s unfair competition, false advertising and consumer protection laws. He’s also seeking a class action representing other Californians who may have purchased the item, along with a nationwide class. The suit wants restitutionary and nonrestitutionary disgorgement, an award for attorneys’ fees and a cease-and-desist order prohibiting McDonald’s from continuing its allegedly illegal practices. McDonald’s denied the allegations on Monday. *We don’t know McDonald’s actual problem count, but felt the lyric quote was still justified in this case. **Does this guy have a cheese lab in his house?! If so, cool.